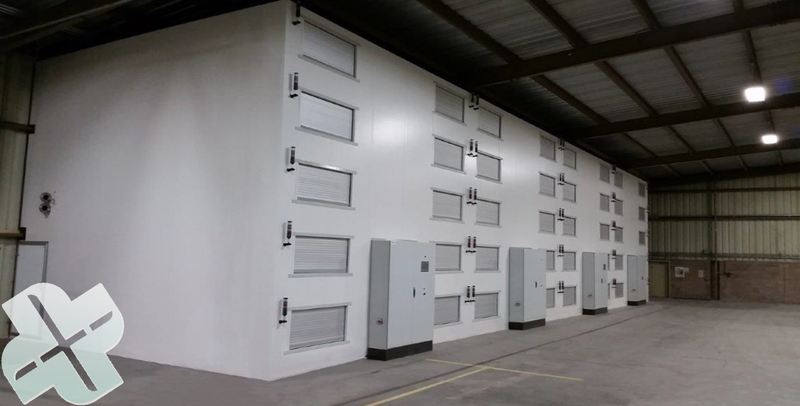 Example of installation for drying of 100.000.000 seed pellets per hour. The product is dried in phases according to a set menu for each individual box. 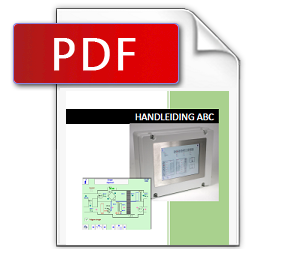 The desired quantity, temperature and moisture content of the air programmed per phase. Per box the desired moisture content of the product will be reached. Start drying with 100% outside air. The air will be heated and squeezed through the product. The warm air adsorbs moisture and is dispatched to outside. Airflow per box: Inlet outside air (green), Heated air (red), wet air (blue). While the product dries, dehumidified air will be added. That’s why the desired moisture content can always be reached. 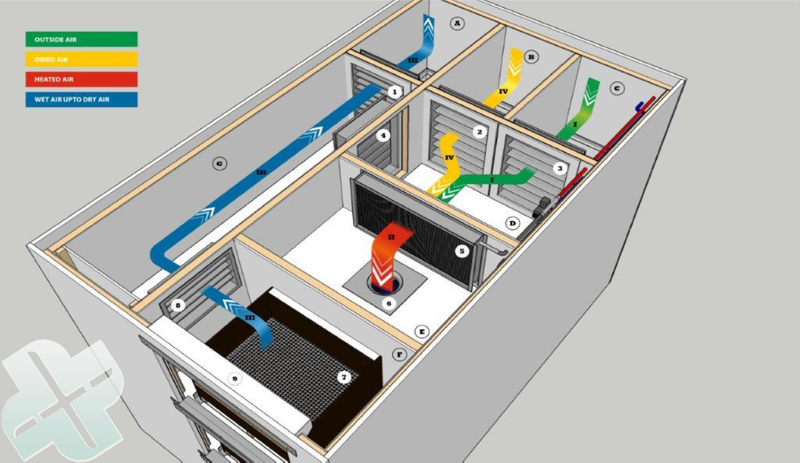 Airflow per box: Inlet outside air (green), inlet dehumidified air (yellow), heated air (red), wet air (blue). When the air from the product is drier than the outside air, this dry air is recirculated. 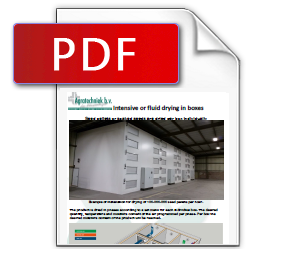 The last moisture from the product will be adsorbed by the dehumidified air. Airflow per box: inlet dehumidified air (yellow), heated air (red), wet air (blue).